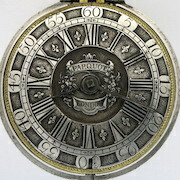 These are our 17th and early 18th century pocket watches, many of which are London watches from the golden age of English watchmaking. 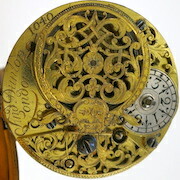 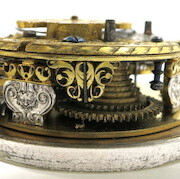 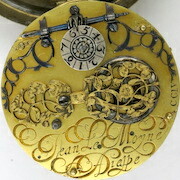 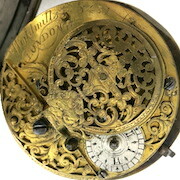 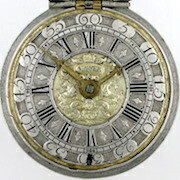 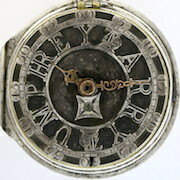 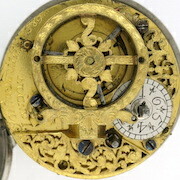 Typically with gold or silver champleve dials, and presented in gold or silver pair cases, often with wonderful repousse decoration. 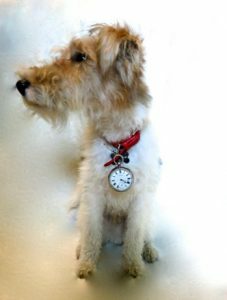 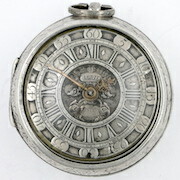 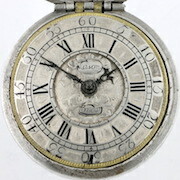 These early antique pocket watches usually feature verge movements but towards the end of this period the important London maker’s started to introduce cylinder movements. 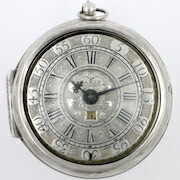 Silver pair cases, 56.5 mm. 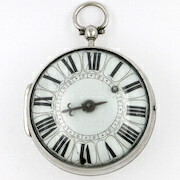 Silver pair cases, 57 mm. 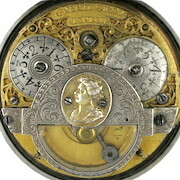 Silver pair cases, 53.25 mm. 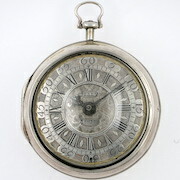 Silver pair cases, 57.75 mm. 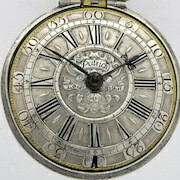 Silver pair cases, 59 mm. 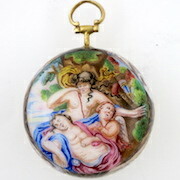 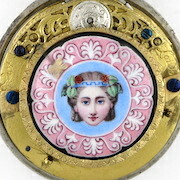 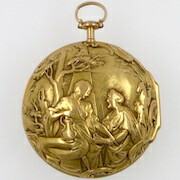 Gold and enamel case, 39.5 mm. 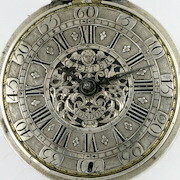 Silver pair cases, 55.8 mm.